Three conference athletes were named to the 2015 NJCAA Baseball All-America teams. 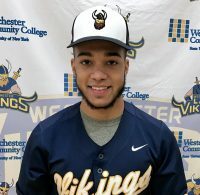 Westchester’s Steve Figueroa was selected to the All-America first team. Sullivan’s Steven Pinales was named to the second team while team mate Ivan Objio was named to the third team.